This is the second part of our pick of walks from the NC500 road-trip route around the North of Scotland. The first half can be read here. 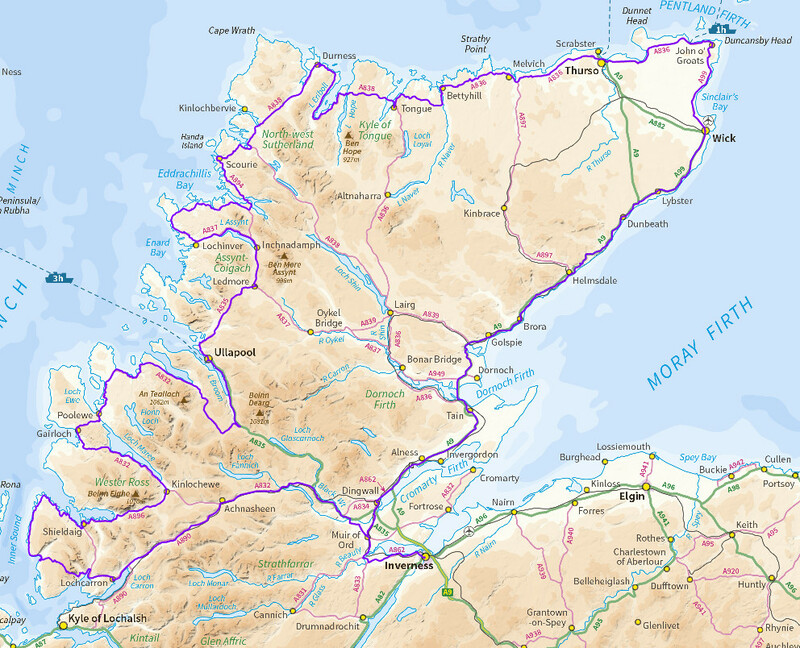 The NC 500 route. Crown copyright and database copyright 2011. The NC500 continues northwards from Ledmore junction, passing the atmospheric ruins of Ardvreck Castle before turning onto the A837 to head for Lochinver. 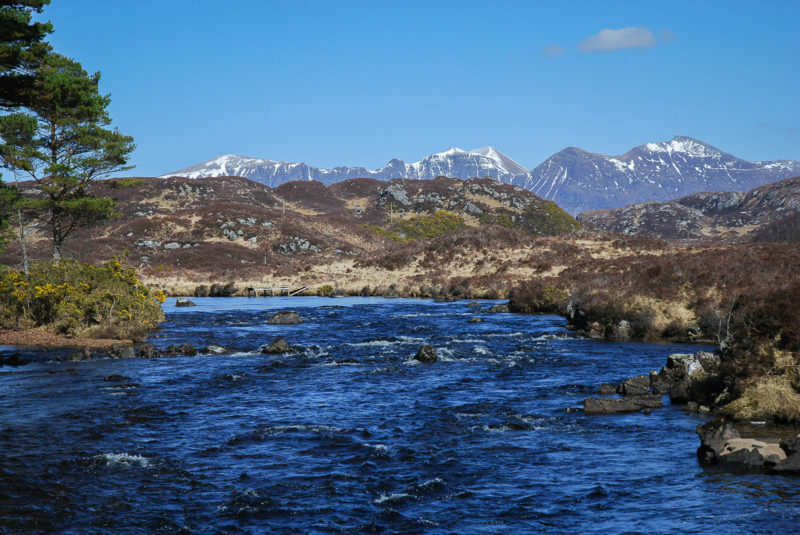 From here the remarkable outline of Suilven dominates the landscape; there’s a great circular walk here starting up the River Inver that gives views not just of Suilven but of Quinag and Canisp too. From Lochinver the NC500 takes the switchback B869 road, passing a string of magnificent beaches. It then crosses the fine bridge at Kylesku to really enter the far Northern Highlands. 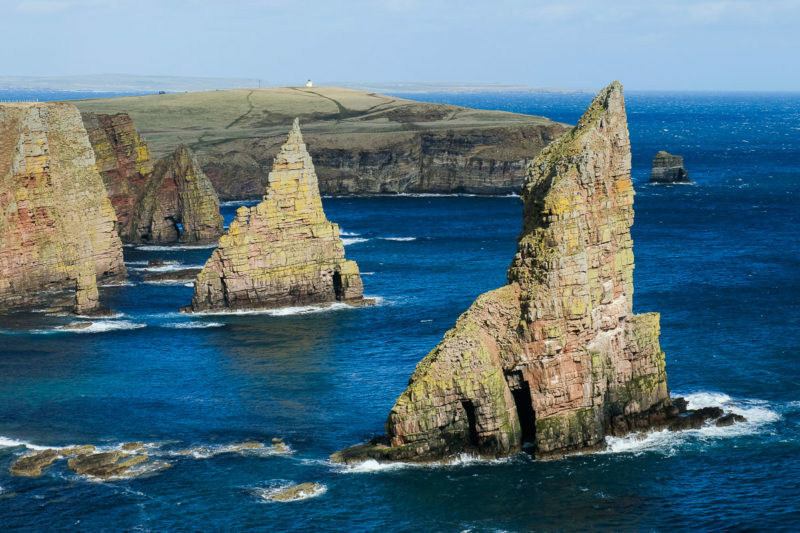 Scourie is the next village (and has a good walk) – but our pick here is to take the short boat trip to Handa Island – an unforgettable place to visit with spectacular cliffs, a famed sea stack and a wonderful beach – not to mention aggressive skuas and cute puffins. The route continues from Laxford Bridge, soon leaving the coast to cross wild moors beneath sparkling quartzite mountains. 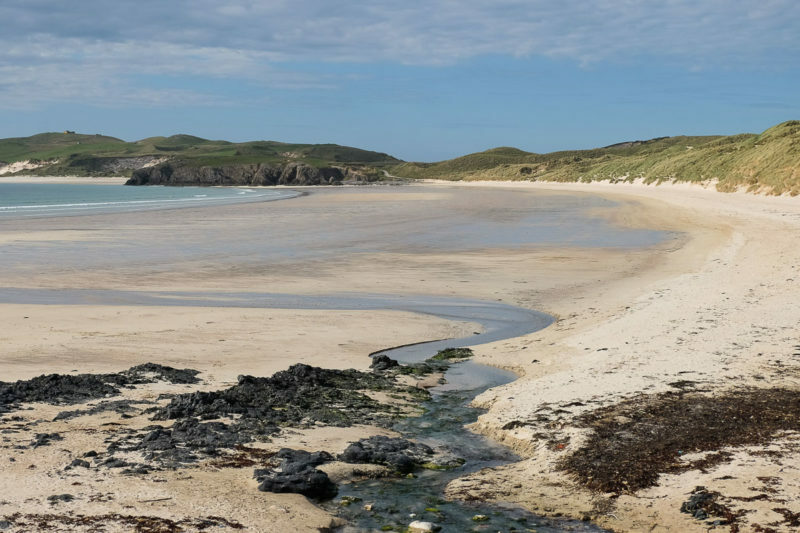 The North Coast itself is reached at last at Durness, which has great beaches and walking options – our pick here is the stunning Faraid Head. The crossing of the northern coastline is a memorable one. First the route makes the long journey around Loch Eriboll, before crossing the Kyle of Tongue in the shadow of Ben Loyal. 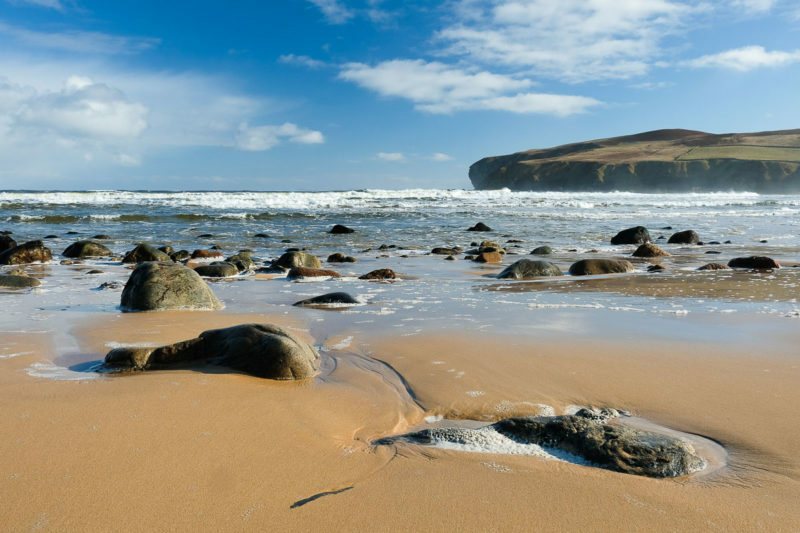 Continue past a series of superb and deserted beaches – Melvich Bay just being one example. Soon the NC500 passes through Thurso – the largest settlement reached since Inverness. 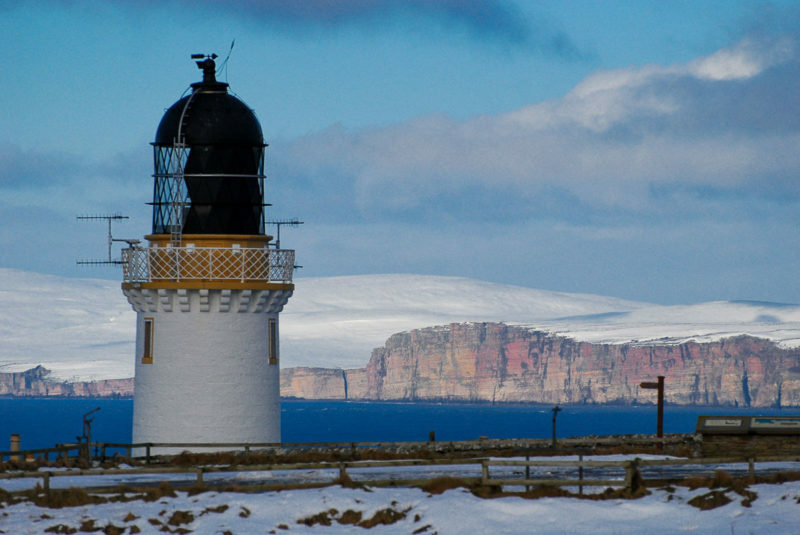 Beyond Thurso, the route rounds Dunnet Bay and then passes the start of the walk to the most northerly point of mainland Britain – the Dunnet Head peninsula, which provides a fine, wild cliff-top walk with views to Orkney. Continuing eastwards the NC500 reaches the famed village of John o’ Groats. 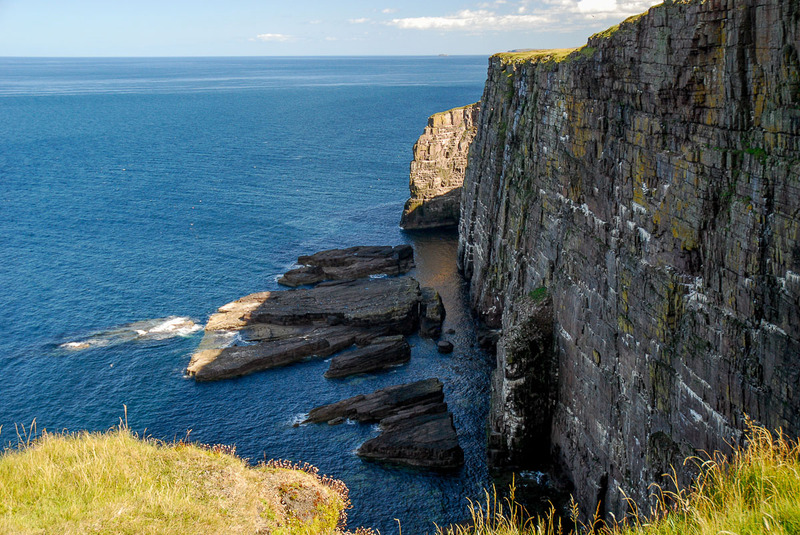 Make sure you leave the route to walk and visit the spectacular sea stacks at Duncansby Head – the true most north-easterly point. Turning south to begin the home stretch back towards Inverness, the NC500 passes through Wick – with its vast harbour – before continuing parallel to Caithness’ dramatic coastal cliffs. 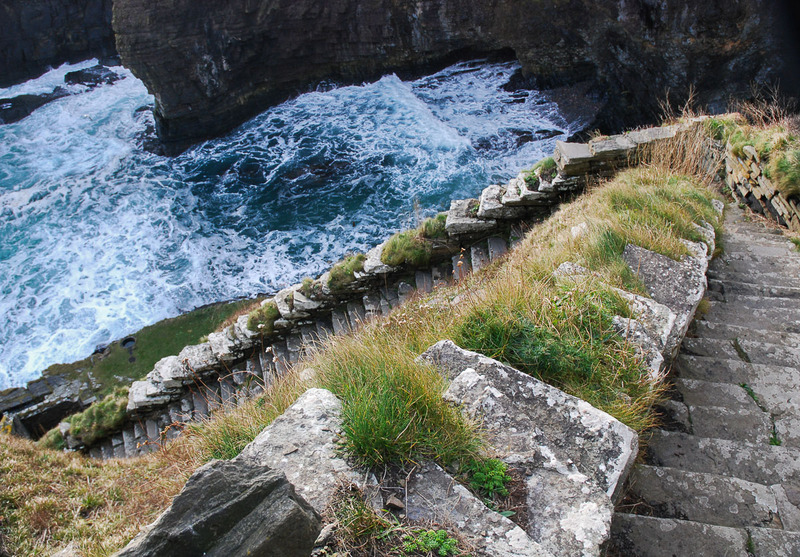 The stunning Whaligoe Steps – 330 of them, descending a cliff-face to one of the least-accessible harbours you could imagine; our walk also visits the Cairn of Get, a well preserved chambered cairn. The A9 crosses a high and exposed stretch at Ousdale, leaving Caithness behind at last to re-enter Sutherland. 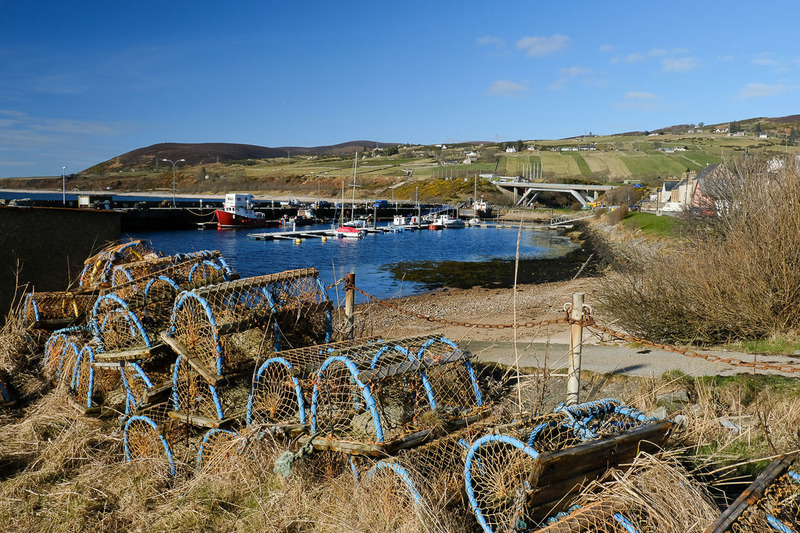 The first village reached is Helmsdale – once the site of a gold rush, but now a peaceful place well worth exploring on a varied circular walk. The coast is a little more populated once more, soon passing through Brora and then reaching Golspie. Towering above is the ‘Mannie’ on the summit of Ben Bhraggie, commanding fine views. 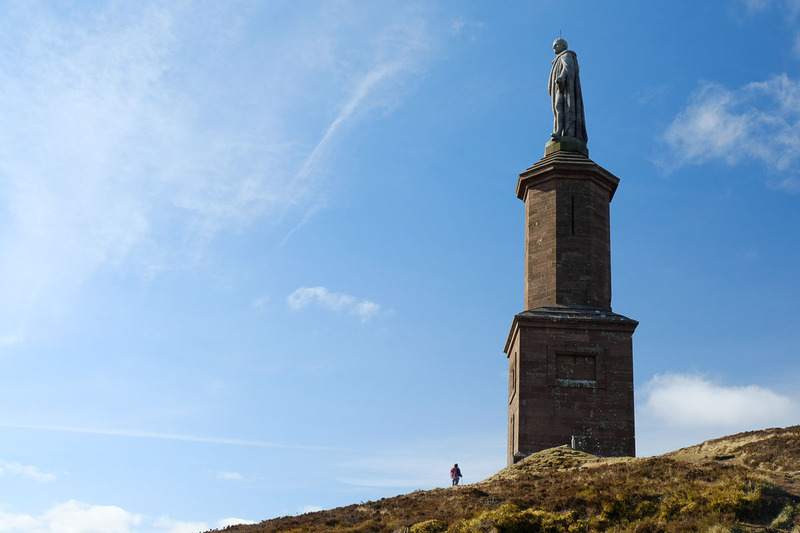 This massive statue of the first Duke of Sutherland, notorious for his role in the forced clearances of his tenants to make way for sheep in the early nineteenth century – the monument now serves to remind people of this dark episode in Highland history. Make sure you divert into lovely Dornoch before continuing over the causeway across the Dornoch Firth. You are now on the final stretch back to Inverness, passing by Invergordon, Alness and Dingwall. 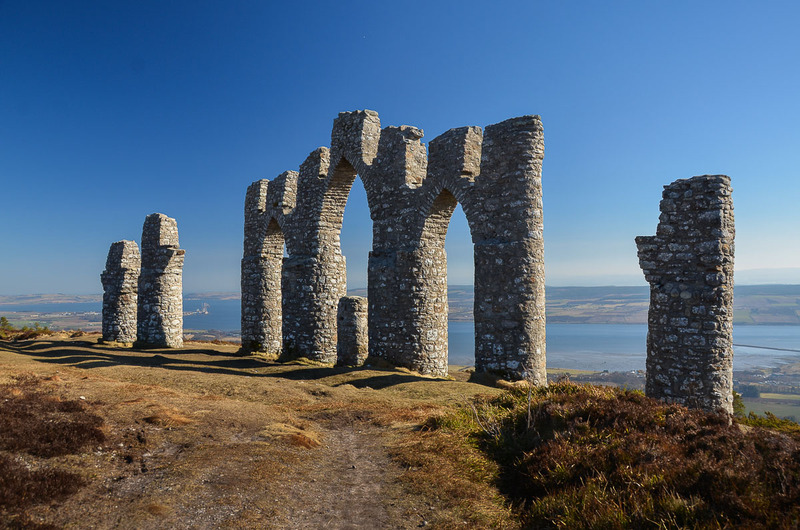 There’s an unusual landmark on the hills to the north – it’s well worth making the ascent to Cnoc Fyrish to see it, and its stunning views over the Black Isle. A great final walk before heading back to the Highland Capital.